The internet has emerged as one of the greatest threats to rare species, fuelling the illegal wildlife trade and making it easier to buy everything from live lion cubs to wine made from tiger bones, conservationists said today. The internet’s impact was made clear at the meeting of the 175-nation Convention on International Trade in Endangered Species (Cites). Delegates voted overwhelmingly today to ban the trade of the Kaiser’s spotted newt, which the World Wildlife Fund says has been devastated by internet trade. 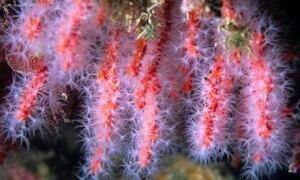 A proposal from the US and Sweden to regulate the trade in red coral – which is crafted into expensive jewellery and sold extensively on the web – was defeated. Delegates voted the idea down mostly over concerns that increased regulations might damage poor fishing communities. Trade on the internet poses one of the biggest challenges facing Cites, said Paul Todd, a campaign manager for the International Fund for Animal Welfare. I guess that it is incorrect to say that the Internet is the cause of this problem; it is no more the cause than the phone system or an airline used by traders. It is not the cause, it does makes it easier for the buyers and sellers to contact eachother and create a bigger market though.